Being able to play a fast or complex rhythm is pointless if it doesn't have a good feel. Groove Studies will help intermediate players focus on applying the skills and concepts they have already learned in order to inject their drumming with life, character, and feel. The fun and useful exercises in this book contain studies in timing, motion, coordination, technique, and touch. 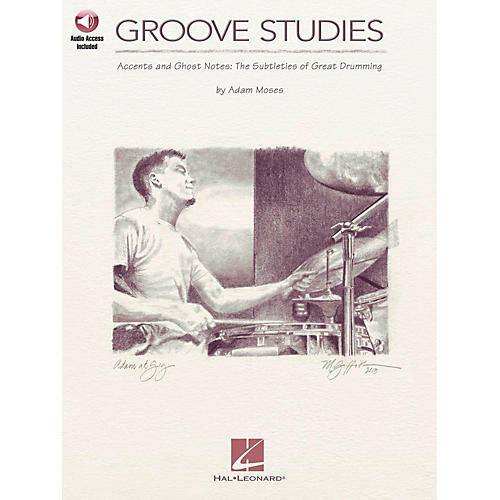 Groove Studies includes: 73 audio tracks that include demos and full-band tracks that can be used as play-alongs • basic beats with accented hi-hat • use of rimshots and ghost notes • pull-outs and controlled strokes • triplets and shuffle rhythms • cymbal ostinatos • and more. The price of this book includes access to audio tracks online, for download or streaming, using the unique code inside the book. Now including PLAYBACK+, a multi-functional audio player that allows you to slow down audio without changing pitch, set loop points, and pan left or right.